Russia is the country where online gambling, except for limited number of certified sports betting sites, is prohibited. Considering the situation, it’s quite surprising to know that there are actually companies producing online casino content. This content supplier partners with EveryMatrix, Slotgrator and Betsson Group to deliver its games to players. It produces games for land based operators as well, and they can be distributed inside the country since there are several special territories where gambling is legal. 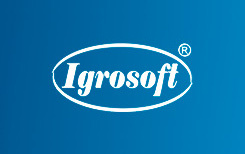 At customer request, Igrosoft can reprogram and repair its games. Production of the games is very slow especially for a company with over 15 years of experience. There are just over 20 video slots in their portfolio, which is about 1 game a year. That’s an impressive number. No other developer would be able to survive by releasing one or two games yearly. Despite the company’s low productivity the list of Igrosoft casinos doesn’t look bad. There’s no record of the games being tested by independent laboratories or other third parties, as we couldn’t find any information about certificates or licenses. What is known is that this company is trusted and popular in Russia and its neighboring countries. You need to choose best Igrosoft casinos which you know as highly reputable and honest. In this case there’s nothing to worry about. Casino operator will guarantee game fairness. Why would anyone play Igrosoft video slots when there are so many other titles released by much more famous developers? The only key to their success can be their original design. They are just different from the slots international players are used to. Visit one of reliable Igrosoft casinos to understand what we are talking about. The style is simple and quite specific. Basically, all of their slots imitate old style slot machines. You’ll like their games if you don’t mind extremely simplistic design. Games can be played in practice mode and for real money. These aren’t high quality titles, they just might seem exotic to some gamers. Usually their video slots offer up to 9 paylines. You can choose to activate one, three, five, seven or all of the lines. One of the advantages is that control panel is simple and novice players can learn it intuitively. There is usually Gamble feature available in their slots, and it’s very interesting because gamers can see dealer’s card prior to deciding whether to take risk or not. For instance, if dealer has a low value card like 2, you definitely have good chance of doubling your money. But with dealer’s Ace or other high card it would be better just to leave the feature. Another thing you might like is that games pay both ways. Since games are primitive, they load fast, but they aren’t always smooth. Sometimes buttons don’t respond immediately, and there’s nothing wrong with these games. It’s a software bug, this is just the way they work. So get ready for this kind of small issues when registering at one of the best Igrosoft casinos. Their flagship video slot is Fruit Cocktail. It features different fruits and wild symbols. Strawberry is a scatter, three of these symbols trigger bonus round which can earn you up to x100 multiplier if you are lucky. Unlike many other video slots, when playing Fruit Cocktail, you can leave bonus game empty handed. Most of their titles have two versions and this video slot is one of them. Fruit Cocktail 2 has slightly different design and all the same features. However, the developer added free spins round and that makes second version more engaging. You can win 10, 20 or 30 bonus spins for 3, 4 or 5 Free Games symbols. The amount players can win also increases substantially – 675,000 credits compared to 125,000 credits in first version.